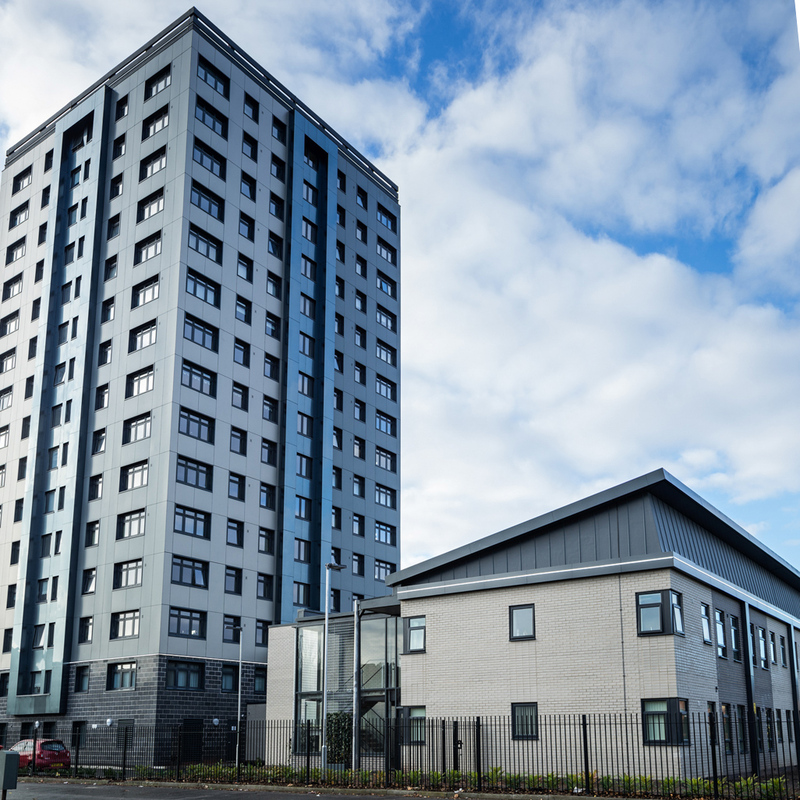 The £8.5m Marwood Tower project reaches completion. 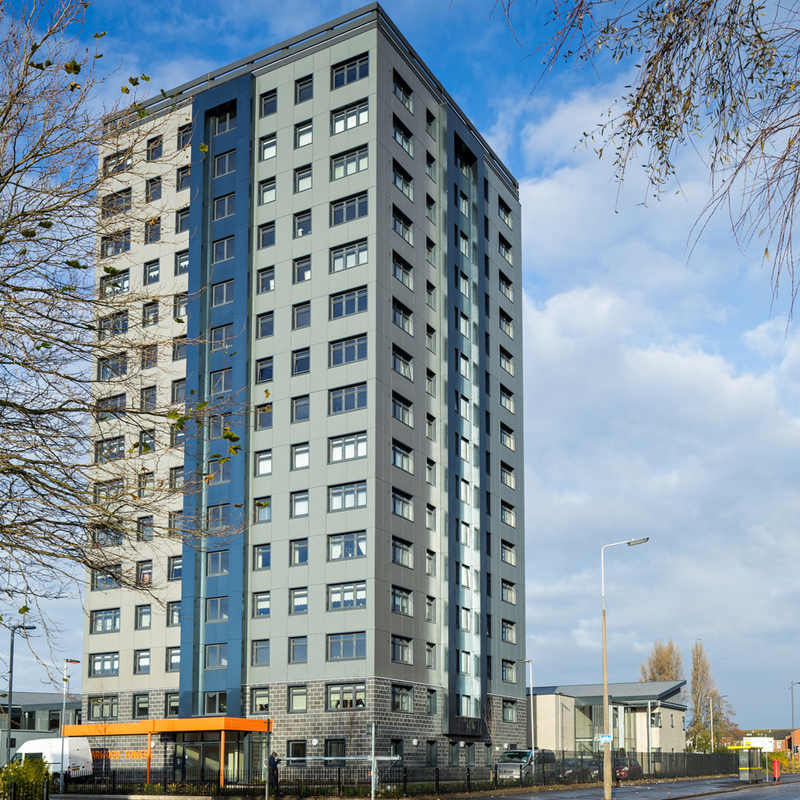 John McCall Architects has transformed one of Liverpool’s landmark towers into modern apartments for over 55s in an £8.5m scheme. 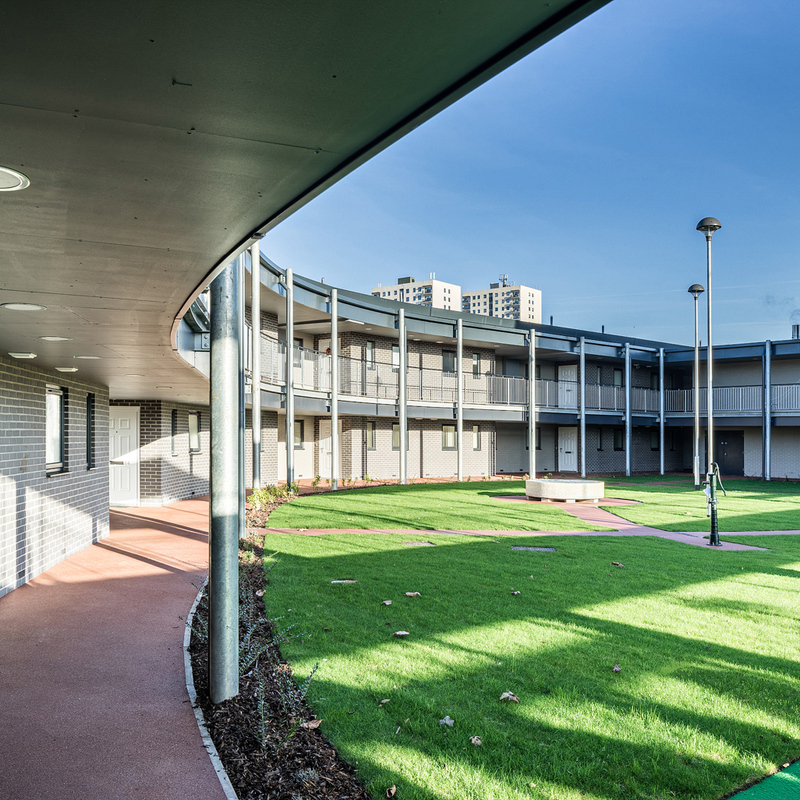 Some 57 flats in Marwood Tower were remodelled for social landlord Liverpool Mutual Homes to provide supported and general housing. A new section was built in an arc around the tower’s base providing 24 new apartments. It created an enclosed space that was turned into an encapsulated courtyard garden featuring an all-weather bowling green. A green living wall and climbing plants provide a relaxing horticultural environment. For comfort and to link the old and new buildings together, covered walkways that open in the centre of the courtyard were added. Externally, a contrasting brick façade features on the arced building to create a terraced street feel. Large vertical windows and doors give height to the low-rise element to knit into the existing tower. Sustainable measures include LED lights, rainwater harvesting for the garden and the tower clad in an insulated rain screen material. 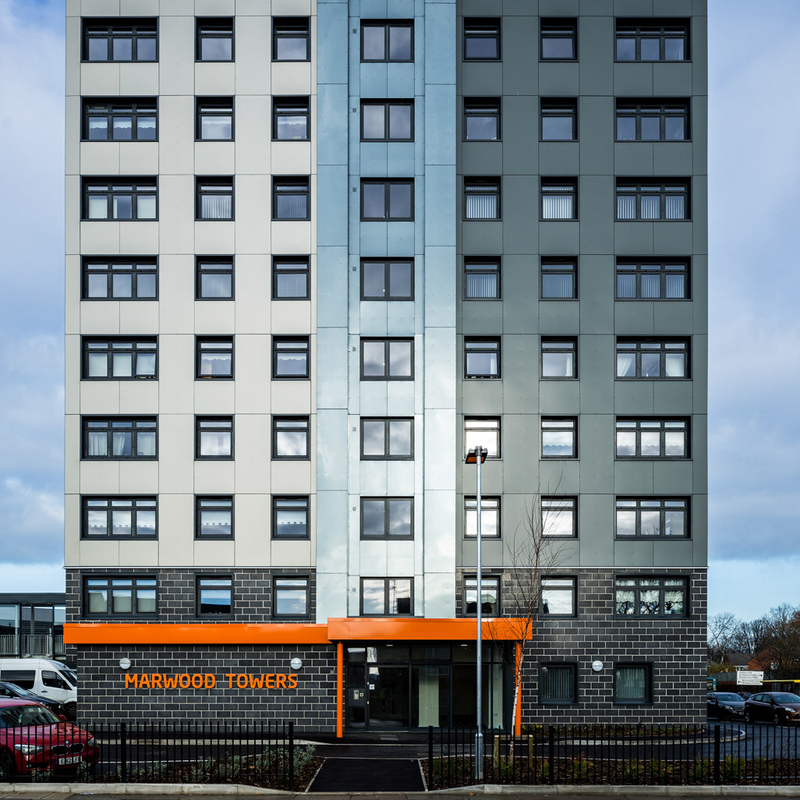 The apartments have bathrooms featuring Grohe taps, showers and baths, Porcelanosa tiles and Magnet kitchens bespoke to each apartment. 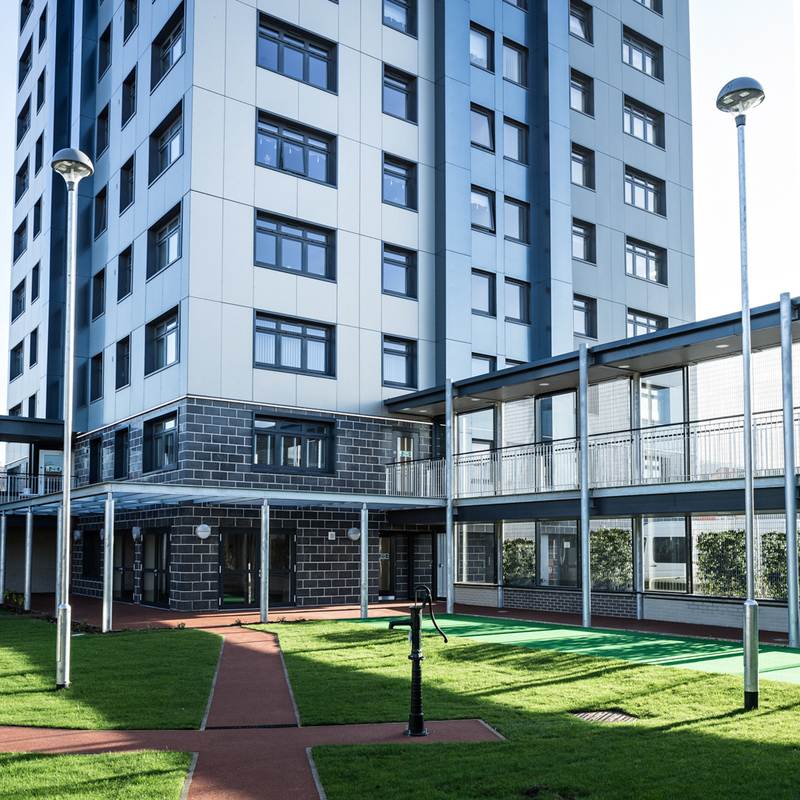 Dave Smith, Director at John McCall Architects, said: “This is a great example of rejuvenating a tired housing block and bringing empty homes back into use. 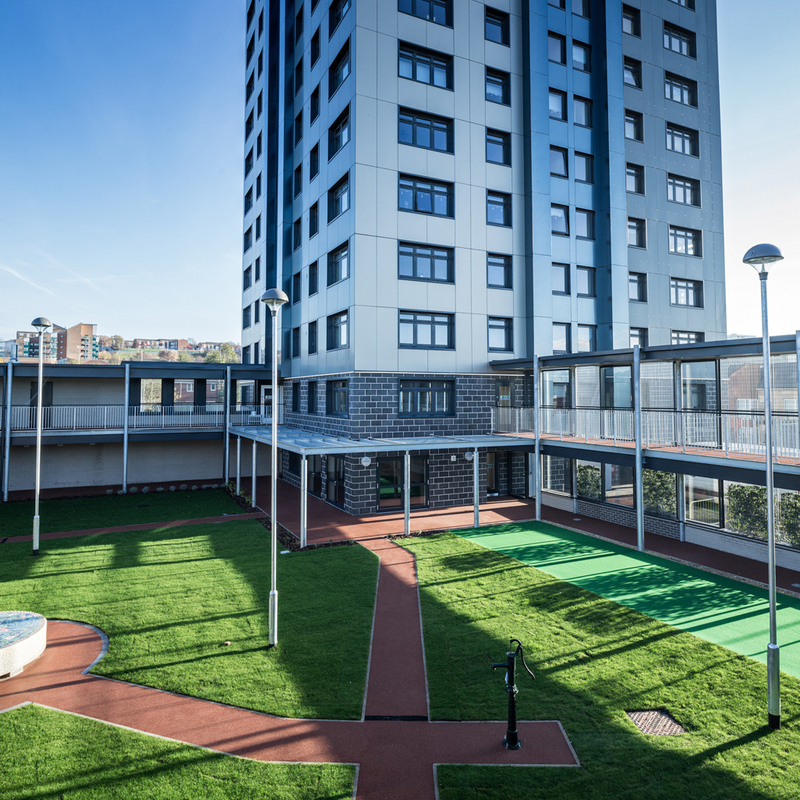 “To complement this, we built new apartments around the base so more homes are available while the outdoor communal area it created helps people mix and enjoy a small neighbourhood feel. “As it is on a major gateway seen by millions of people a year going in and out of the city and to various tourist destinations, it was important we completely transformed an eyesore into a striking contemporary building. 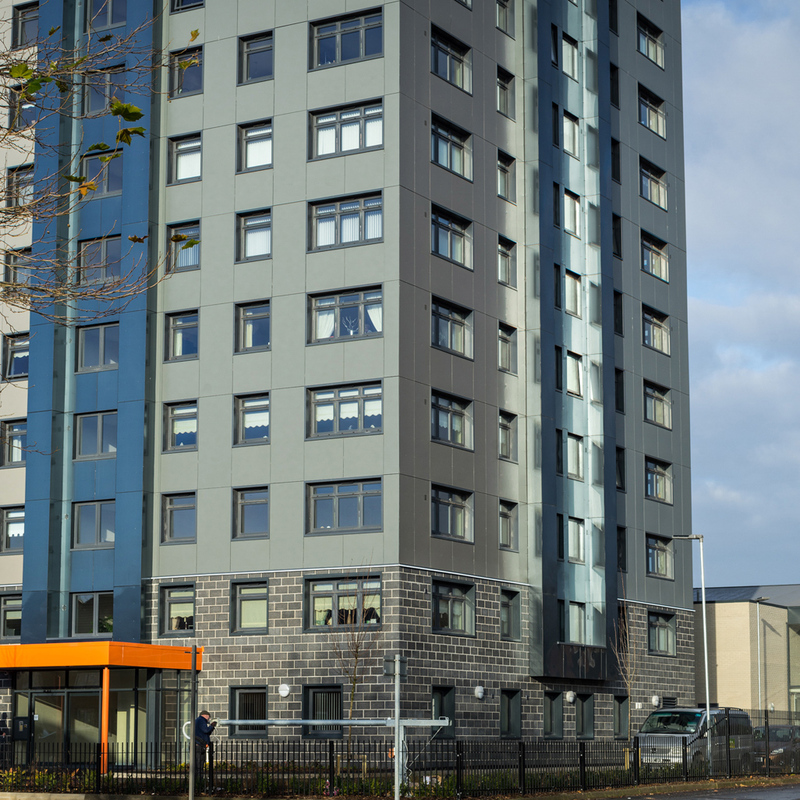 “We installed sound insulation to the façade to protect residents from noise caused by traffic on this busy route. “Everything has been designed to create a secluded and tranquil environment and make living there a really enjoyable experience. Liverpool Mutual Homes worked with support charity Imagine and a number of the apartments allow people with support needs to live independently.